Indulge at Park boasts a large selection of delicious food for lunch and dinner. 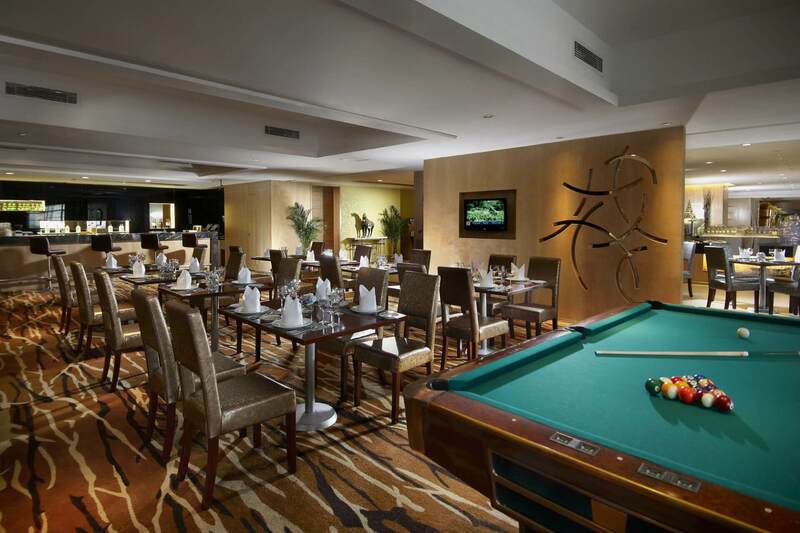 Moreover, you not only have a tasting of aperitif before meals and also get to play rounds of billiards with your friends. Enjoy Singaporean and South-east Asia cuisine fused with the gentle feelings of Jiangnan Water Township, bringing you a chef and his team executing well-cooked international cuisine for your enjoyment. Grand Park Wuxi transports you to Singapore's shores with gluttonous feast and classic cuisine. Travel thousands of miles without even leaving your seat and enjoy sensationalizing your taste buds. Grand Park Wuxi hotel invites you!